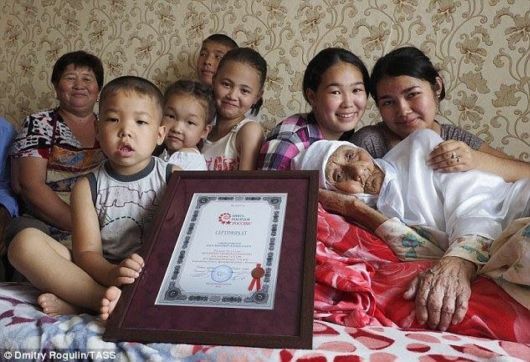 A 120-year-old Russian woman has entered the record books as the second longest-living person in the world. Born in 1896, Tanzilya Bisembeyeva has lived in a small village in the Astrakhan region of southern Russia all her life. 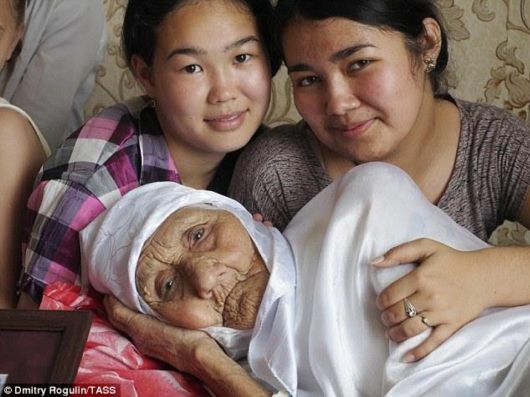 Bisembeyeva’s first husband was killed during World War II and their child died during infancy, leaving her alone at the age of 49 when the war ended. A second marriage proposal followed and she had her first son at the age of 53. She now has three sons, 10 grandchildren and 24 great-grandchildren. 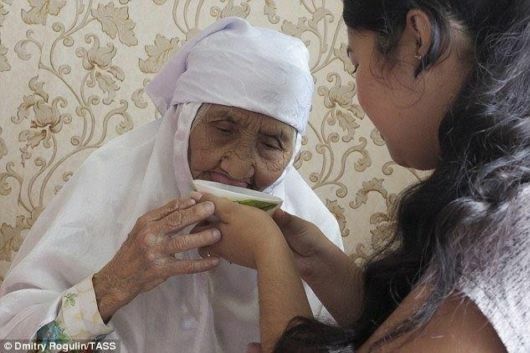 According Russia’s Book of Records, Tanzilya Bisembeyeva is the second longest-living person in the world after Jeanne Calment of France, who lived for over 122 years and died in 1997. 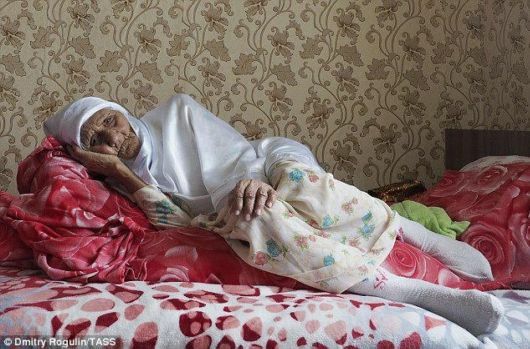 Bisembeyeva’s relatives say that she ?never sits still, doesn’t smoke and eats only organic produce? 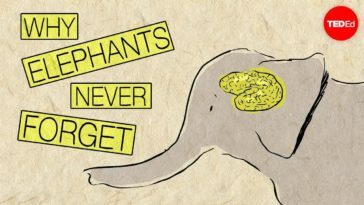 and enjoys a positive outlook on life.